What reason would he have to say it if it wasn’t true though? Then you are saying Smith was lying? I haven’t heard Shiel say it to anyone yet, have you? No his old man claims it, that doesn’t make it true, just ask McPhee’s dad. What was the context of Smith saying we train harder and who did he say it to. Hard to argue with what Shiel’s dad has said given the result and the close relation. Never said he says we train harder, I said at the start of last year he commented on how hard we train in articles when talking about his move to the Dons, highlighting how hard Hepps trains. Maybe I was watching a different game - Shiel and McGrath were ordinary and made so many disposal errors - Francis struggled against a no-name in Keefe, yet some gave him 3 votes in the Nobby Clarke award - One player stood head and shoulders above the rest that being Saad. Just because GWS train harder doesn’t mean it’s a good thing. 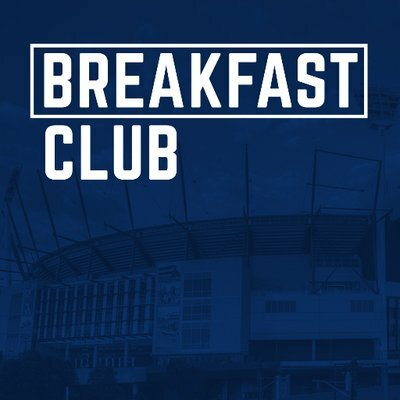 They have had one of the worst injury lists going around for the last 3 years and it’s potentially cost them a premiership. Great interview with Dylan on RSN this morning. They are arguably the most under performing club/team given the talent they’ve had at their disposal. They way they played in Round 1 seemed like they had a point to prove and given that we’ve poached their players, it seemed liked they were particularly primed to target / hunt us. I doubt they’ll be able to bring that level with any consistency and they’ll slide back to being a team of talented players but not a talented team as is their culture to date. I certainly got that impression. They were onto us every time we got the ball from start to finish. Such a new and unique thing. No wonder we weren’t prepared for it. 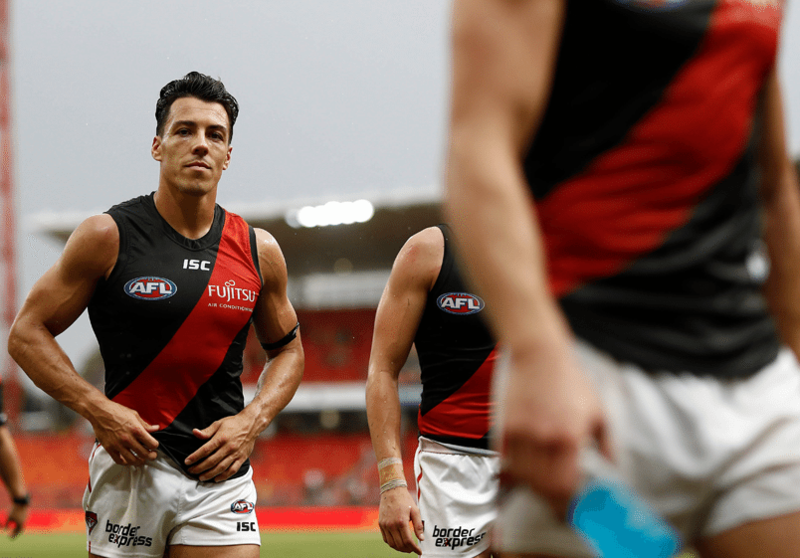 Dylan Shiel says a straightforward approach to reviewing Essendon’s heavy loss to GWS has kept the Bombers’ minds clear ahead of their clash with St Kilda. 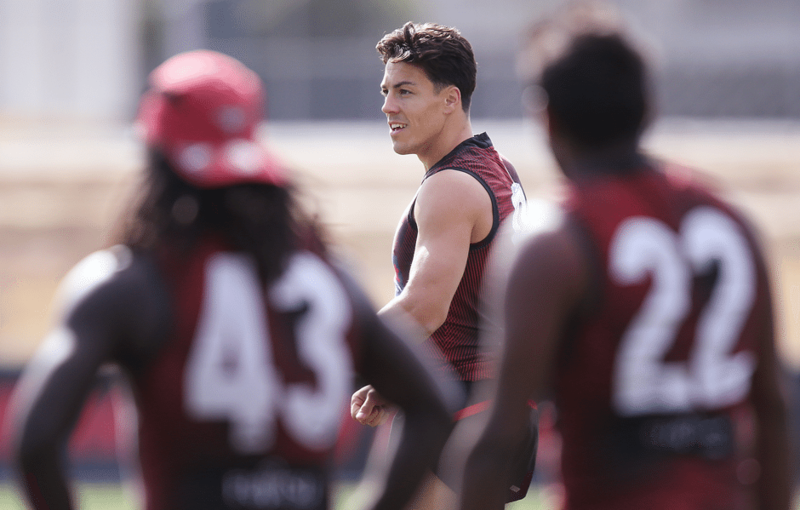 Star midfielder Dylan Shiel says a straightforward approach to reviewing Essendon’s heavy loss to Greater Western Sydney has kept the Bombers’ minds clear ahead of their clash with St Kilda on Saturday. The former Giant admitted it was a “challenging time” falling 72 points short of his old side on Sunday as the Dons were outplayed throughout the contest. But he said senior coach John Worsfold was clear in his evaluation of the game, ensuring the players had no doubt about where the match was lost. “’Woosh’ keeps it pretty simple, which is what I like, because we can tend to overcomplicate football and if you listen to external noise it gets even more complicated,” Shiel said on RSN on Thursday. Dylan Shiel leaves the ground after Essendon’s disappointing performance against Greater Western Sydney. One of the side’s best performers in the defeat was young Bomber Andrew McGrath, who worked tirelessly to gather 23 disposals, four clearances and four rebound 50s. Shiel singled out the emerging midfielder as the player who has most caught his attention in his short time at The Hangar. “Someone that I did know a lot of, because I watched him in his first few years, is Andy McGrath. “He’s a seriously impressive person, but as a player he looks pretty serious out there; he’s quick, he’s agile and he knows how to play the game. Shiel has drawn on the insights of former coach and club legend Kevin Sheedy this week as the Bombers strive to return to their best against St Kilda at Marvel Stadium on Saturday. “It’s only round one. As ‘Sheeds’ would say, you’re only four points from the top. “Yes, we didn’t get the result or perform anywhere near where we think we can (in round one), but in a week’s time if we can change that around then the public opinion of us can change pretty quickly. “Internally, the guys at the club know how we can perform. We would have known that would happen… no excuse. Awesome, we didn’t address the structures and tactics that Zaka has admitted we don’t understand. It wasn’t effort and intent, the skills were terrible. Doesn’t matter how hard you try, if you’re ■■■■ you’re ■■■■. Poor Dyl would never have received a pooftenth of the fan feedback in his whole career in NSW as he has in his last few days in Melbourne. Welcome to the real AFL, Dylan Shiel! Aside from that miss in the third he was really really good today. Under a new coach he will take us somewhere. If he’s at GWS he kicks that one in the 3rd. We’ve broken him already.